Alexandra Da Fonte, a faculty member in the Department of Special Education at Vanderbilt University is working on a project related to the preparation of special education teachers. The project is titled: Augmentative and Alternative Communication Survey for Special Education Teacher. The purpose of this study is to evaluate the content knowledge and skills of pre- and in-service teachers on augmentative and alternative communication to successfully implement these strategies in the classroom setting. The goal is to gather as much information as possible from current special education teachers to enhance the preparation of future special education teachers. They have asked our office (OSDE-SES) to forward this survey to special education teachers across the state. Special education teachers who complete this survey can choose to enter a drawing to win one of several Amazon gift cards. Thank you in advance for your help and support. Puberty is a challenging time for all youth but can present even more challenges for young people who have developmental disabilities, including autism and intellectual disabilities. 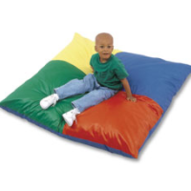 It is important that ALL adolescents learn about their developing bodies and emerging sexuality. The training will offer parents factual information about developmentally appropriate instructional strategies for teaching the social skills, self awareness, and safety skills necessary to their children. Consider how interdisciplinary team members can work together to promote positive mental health and prevent mental health challenges throughout the day in diverse school settings. Learn how to implement Every Moment Counts model programs and embedded strategies focusing on participation in the classroom, cafeteria, recess, and extracurricular after school activities. We promise an informative one and a half day conference that will provide you with practical strategies for promoting participation and positive mental health in the children and youth that you serve. If you did not have the opportunity to attend the in-person end of year data training sessions, be sure to register for the webinars. Please see the attached flyer for information about the webinar schedule and the registration links. The WebEx will cover common questions from the districts including enrolling and accessing students from the WAVE to EdPlan, Progress Reports, Calendars, Transfers, Error Messages, and questions you may want addressed. This document covers FAQ that are in our WebEx and is open to all EdPlan users. The Oklahoma School Climate Transformation Grant, also referred to as OK Transform, is now accepting applications. Twenty-five schools across Oklahoma will be selected to receive Positive Behavior Intervention Support (PBIS) implementation support, training and technical assistance. Selected schools and districts will receive support and information regarding how to transform school climate by building local capacity through the implementation of a sustained, school-wide PBIS framework. In addition, schools/districts in counties with the highest opioid usage per population will receive addiction prevention training on opioid use. For more information, contact Elizabeth Suddath, School Climate Transformation Project Director, at elizabeth.suddath@sde.ok.gov or (405) 521-2106. This webinar series will provide opportunities throughout the school year for new special education directors and other district program staff to receive helpful information on various topics of importance regarding rules and regulations with the IDEA. Click below to register. Please open the attached notice for training clarifications on discipline and home school exits, along with additional registration information for the EOY training webinars and “open door” opportunities. LEA Agreement Amendment for all Districts extended to April 15, 2019. Measurable goals that are directly linked to educational needs are an essential factor in developing effective Individualized Education Programs (IEPs) for students. This professional development will provide guidance in developing meaningful goals that can be monitored regularly to determine if progress is being made or if revisions are needed to a student’s educational programming. We will also introduce the Goals Progress Monitoring Wizard that will be available in the OK EdPlan System in fall 2019. For additional information, please contact Christa Knight, Assistant Executive Director, Office of Special Education Services, at 405-521-4869, or via email at Christa.Knight@sde.ok.gov. Join us for a free webinar focusing on providing practical and useful tips to increase student involvement in the IEP and Transition Process. This Webinar addresses: What happens when students with intellectual or developmental disabilities are able to fulfill their dream of attending college? What components does a comprehensive college program have? How do the components integrate with existing university processes? Most importantly, how do these programs create the connections needed for students with intellectual or developmental disabilities to chart a path to employment of choice and a better life? Access to OAAP modules are available under “My Resources” from the Pepper main menu page. Charting the Life Course is a framework that was developed to help individuals with disabilities and families at any age or stage of life think about what they need to know, identify how to find or develop supports, and discover what it takes to live the lives they want to live. Individuals and families may focus on their current situation and stage of life but may also find it helpful to look ahead to start thinking about what they can do or learn now that will help build an inclusive productive life in the future. Participants will leave the workshop with tools to make appropriate plans for each child for the future. With appropriate intervention, students with dyslexia may be able to improve their reading skills. In the meantime, Assistive Technology can help these children to keep up with grade-level content and succeed in school. This event will take place at The Children’s Center Rehabilitation Hospital in Bethany, Oklahoma. 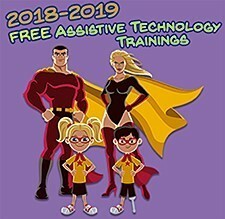 Educators who attended ABLE Tech AT Support Team Training learned valuable skills to help provide tools that support students with disabilities, and sometimes, they leave with AT devices in hand. The Oklahoma State Department of Education (OSDE) is planning a summit on behavior and climate in schools. The primary goal of this summit is to develop well-informed recommendations for legislative, pre-service and in-service supports based on input from stakeholders and objective sources of data. The recommendations will address the social/emotional and behavioral needs of Oklahoma schools. Stakeholder input will be key in identifying participants and gathering crucial data and resources. 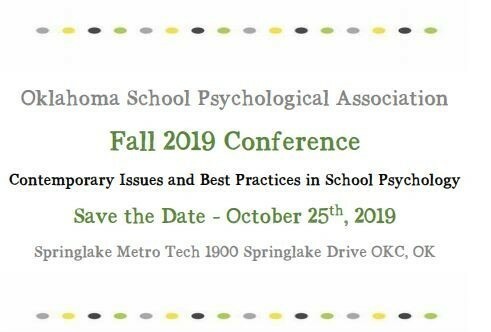 Please complete the survey regarding behavior and climate in Oklahoma schools below. The survey will be available through March 29. We are extending the deadline to March 31st for WOW applications. Please share with anyone and everyone. This is a weeklong camping and work experience, for 16-21 year olds, who will be returning to high school next year. The end of year data collection training schedule has been finalized to prepare districts for the July 1 data submission. The attached training notice lists all training dates and registration links. We look forward to seeing you soon! The survey will be available through March 22. Oklahoma has partnered with the Center for Accessible Teaching, Learning, and Assessment Systems (ATLAS) at the University of Kansas to develop and evaluate a new professional development (PD) system to help teachers provide effective science instruction to students with the most significant cognitive disabilities. The 5E Model Professional Development in Science Education for Special Educators (5E-SESE) system integrates best practices from science education and universal design for learning in an online PD system. Please refer to the attachments for signing up and more information. Several reports have been added or updated in the Advanced Reporting tool in EdPlan. All End of Year folder reports have been updated to reflect the current school year. Please reference these as you begin to prepare your data for end of year submission. One new “End of Year” report has been created to reflect the 45-day timeline eligibility compliance, called the “Eligibility Timeline Report v 1.0.” This report is based on your current school calendar as entered into EdPlan. The report shows the number of days between parent consent and eligibility, but not a reason for delay. We are working to add this feature. You should use this report to check that all students’ eligibilities are completed timely. We will be using this report in part to verify your End of Year submissions on the District Summary Data Page. A new “Shortened Week Length Report” has been added in the Focus Group Data Validation folder for districts to review. This report lists all students whose IEPs reflect a shortened instructional week. Please check that this report accurately reflects your students known to have a shortened instructional week and the reasons for the reduction. Refer to https://sde.ok.gov/non-traditional-route-special-education-teacher-certification for requirements/qualifications. Additional seats have been added to the event. Please register below if you are interested in attending. 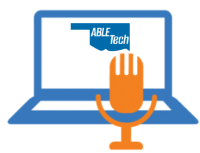 Two of ABLE Tech’s three Spring AT Support Team Workshops are in the can, and participants are reporting success using low-tech AT with their students! The final session, to be held in Lawton March 14th, will cover AT in the IEP and Implementation. AT trainings are provided at no cost to Oklahoma educators and related service providers, in addition to Continuing Education Units (CEUs) will be offered for OTs, PTs, and SLPs. Do You Need an AT Loan? Join us in this upcoming webinar. If you have students who need textbooks and other curricular materials in specialized formats, now is the time to submit orders for next fall. Liberty Braille is accepting braille and large print requests for the 2018-19 school year. Trauma-informed schools understand the educational impacts of trauma, and are safe, supportive environments, where students form positive connections with adults and peers and learn to regulate their emotions. This flyer will help give you a better understanding of what steps you can take to recognize the signs of trauma and react accordingly in an efficient and positive manner.